The Debaters Association of Victoria is proud to announce the inaugural DAV Women's Competition! The DAV Women's Competition is a debating tournament held exclusively for women, with the aim of supporting and encouraging female-identifying students. Historically women have been underrepresented in debating and as such we would like to offer this unique opportunity for them to further develop their skills in a friendly environment outside of the main Schools Competition. Students will register individually and be randomly allocated to a team of three on arrival. The day will begin with a training session led by some of the DAV's best female trainers. All debates will be secret topics with one hour of preparation time. Registration is now open. Registration closes Monday 25th March. Prizes will be awarded to the winning team and highest scoring speakers of the day. Junior Public Speaking (yr 7-8) runs across a number of regions during the school day and includes a two night finals process. For a complete list of regions and dates please go here. Intermediate Public Speaking (yr 9-10) will be run on Sunday 2nd June at St Kevin's College. For more information and to register please go here. Senior Public Speaking (yr 11-12) will be run on Sunday 28th April at St Kevin's College. For more information and to register please go here. These regions are at capacity and cannot accept further registrations. Registration for the Junior Secondary Program will be closing this Friday 20th July. The Camberwell region has already reached capacity, and other regions are filling up fast. You must register by the deadline to be guaranteed a place in the program. Registration can be completed by logging in to the DAV website. More information can be found here. Registration is now open for all levels of Public Speaking (Junior, Intermediate and Senior). To register for Junior Public Speaking (yr 7-8) please go here. To register for Intermediate Public Speaking (yr 9-10) please go here. To register for Senior Public Speaking (yr 11-12) please go here. Registration for all of these competitions closes 5pm Friday 20th April. The following regions have hit capacity and cannot accept further registrations. The following regions are very close to full, so registrations submitted after 3pm, Monday may not be accepted. Registration for the Victorian State Team has closed. Please contact the office to see if places are still available. The DAV will host its State Primary Schools Debating Tournament on Friday 17th November at The University of Melbourne Parkville Campus. The round-robin competition aims to introduce students to competitive inter-school debating whilst providing further opportunities to develop their debating skills. After the debates, presentations will be made to congratulate participants, winning teams and the highest scoring speakers. Registration for this competition has reached capacity. Email the office to be added to the waitlist. On the day, students will participate in 3 debates, and lunch will be provided to staff and students. Teams cost $85 to register. A team consists of one teacher and 4 students. Any additional staff and students will be charged $10. Registration closes 5pm Friday 20th October. The 2017 Schools Competition Finals begin next week. A complete list of teams and allocations can be found here. A new region has just been opened in Werribee, and dates have been added for the McKinnon region. These can be found here Please note that registration for the Junior Secondary Program will close at 4pm, Friday 30th June. To sign up for the Hamilton Regional Training Day fill in This FORM. Due to a high number of registrations for this year's Junior Public Speaking competition an additional region has been opened. The region of Heyington will be hosted at St Kevin's College, Toorak on Sunday 18 June. As this day falls on a weekend we recommend a staff member be present from each school to accompany the students. If this is not possible a permission form will be provided for each student to be allowed to attend. Registration for this region only will be open on the website until Friday 19 May. The Mentone and Heidelberg regions are now at capacity and cannot accept further registrations. The resources guides for round 1 topics have been published here. Due to the high intake of registrations, these regions have reached capacity and we can not accept any more teams into these regions. We encourage you to register your school teams at other nearby regions. The DAV's senior public speaking competition for students in years 10-12 will be held on Sunday 26 March. Students will present a prepared speech on a topic of their choosing, and two impromptu speeches. This competition is open to students from Years 10, 11 and 12. Schools may enter up to 2 student from each year level (6 students from each school total). Date: Sunday 26th March Time: 9.30am - 3.00pm Location: St Kevin's College, Moonga Road, Toorak Registration will is now open and will close Friday 17th March at 4pm. Coordinators may register their students here. St Kevin's College 1 defeated Melbourne High School 1 in a unanimous decision. Melbourne Grammar School 6 defeated Scotch College 1 in a unanimous decision. Lauriston Girls' School 2 defeated St. Patrick's College 1 in a split decision. Melbourne Grammar School 2 defeated Nossal High School 1 in a unanimous decision. The draws for the Semi Final, being held at Sacre Coeur, Glen Iris on October 19th are now published on the website. You can find them here. If you have any questions or concerns, please contact the office. The topics for next weeks quarter finals have been released, and will be updated on the official draws shortly. The topics are; C grade - That employers should not be able to hire or fire based on information found on social media. D grade - That the Government should not fund controversial art and exhibitions. Best of luck to all teams. The draws for the Quarter Final, being held at Lauriston Girl's School, Armadale on October 12th are now published on the website. You can find them here. The topics for the C and D Quarter finals will be published on Thursday 6th October. The A and B Quarter finals will be secret topic. If you have any questions or concerns, please contact the office. Currently our office is experiencing some technically difficulty, which has meant that our access to our phone system is down. There will also be some delays in responding to emails. Our provider is working to rectify this problem as quickly as possible, and we will post again when our systems have returned. The draws for the Octo Final, being held at St Leonard's College, Brighton, are now published on the website. You can find them here. The Quarter final draw will be published on Thursday 6th October. The draws for Playoff Three, being held at Northcote High School, Northcote, are now published on the website. You can find them here. If you have received notification that your team has progressed to our finals series, but they are not listed in the playoff one draw, this is because they are not required at this playoff. The Octo final draw will be published on Thursday 1st September. The draws for Playoff Two, being held at Kilvington Grammar School, Ormond, are now published on the website. You can find them here. If you have received notification that your team has progressed to our finals series, but they are not listed in the playoff one draw, this is because they are not required at this playoff. The Playoff 3 draw will be published on Thursday 25th August. The draws for Playoff One, being held at St Aloysius' College, North Melbourne and also at Sacred Heart College, Geelong, are now published on the website. You can find them here. If you have received notification that your team has progressed to our finals series, but they are not listed in the playoff one draw, this is because they are not required and will progress directly to playoff 2 (or 3, in some cases). The Playoff 2 draw will be published on Thursday 18th August. The Camberwell and Toorak region of the Junior Secondary Program is now at capacity and will nto be able to accept further registrations in these region. The Bundoora region is at capacity for 6pm. Registrations for 7pm will still be accepted. Registration for the Junior Secondary Program, Winter Debate Camp and Senior Public Speaking will open at the end of May. The Junior Secondary Program for year 7 & 8 students runs across term 3 and 4. Information can be found here. Winter Debate Camp is a program for students in years 9-12 held at Wesley College, St Kilda Rd, Melbourne. It will run across three weekdays during the winter school holidays. Further information will be available here. The Senior Public Speaking day is a program for students in years 10-12, which will be held at St. Kevin's College, Toorak on Sunday 7th August. Further information will be available here. Issue 2 of Harangue, the DAV's student newsletter is now available. Harangue is the DAVs student newsletter. Subscribe to receive information about competition details, information about how to prepare for your rounds, training and tactic advice, new competitions you may be interested in and more! Use this link to subscribe. Continuing problems with our phone system in our recent move have meant that currently our phone lines are down. Please email the office with any concerns; debater@dav.com.au Also please note that Charisma is on leave until Monday 29th February and so all account inquiries will be dealt with after Tuesday 1st March. Thank you! Reminder that registration for the 2016 Teacher In-service closes on the 17th February, 2016. Sessions available at this in-service in "Advanced Debating Strategy" and "Principles of Adjudication". To register, please go to the Teacher In-Service page. The DAV Office has re-opened for 2015 in our new CBD location. At present, all our contact details remain the same, but out relocation means that we will not have our telephone and internet connectivity properly set up until the end of the week. Please bear with us if you encounter delays in correspondence. We will be sending the 2016 registration pack on Wednesday 27th January. The DAV Office will be closed on Monday 2nd of November. Please email queries, and office staff will get back to you promptly on Wednesday 4th November. Thank you. Topic: That we should introduce a 100% inheritance tax. Congratulations to all debaters for their fabulous efforts in 2015. A special thank you to Caulfield Grammar School for allowing the use of such an amazing space for the B grade and A grade debates- it added a huge sense of ceremony to the evening. On Monday 12th October, the Debaters Association of Victoria will celebrate the annual 'Swannie' Awards. The ceremony will be held at Methodist Ladies College at 7:00pm in the James Tatoulis Auditorium. The Swannie awards are named after Alan Swanwick, a long time member of the DAV and a pioneer of debating in Victoria. �Swannies� are awarded to the speaker in each region and grade who has the highest average speaker score after completing at least three debates during the year. The average is calculated solely on speaker scores, and is not affected by the best speaker awards that are announced at the end of each debate. Formal invitations have been sent out to winning students, however this event is open to the public to attend. If you would like to come along, please RSVP to the office at debater@dav.com.au. Registration is now open for the Benalla Competition - Download the registration pack. Dates and Venues are still being confirmed for the Border, Mallee, Moama and Kilmore competitions. If you would like to host a regional debating competition at your school, please contact us at debater@dav.com.au for more details. The DAV hosts annual BP competitions for Juniors (years 7 to 9) and Seniors (years 10 to 12). Each competition takes place over a single day, with students participating in a training session conducted by experienced British Parliamentary debaters, before taking part in a three round tournament of debates. The winning teams then compete for the title in a grand final, held on a separate day. This years competitions will take place on; Senior BP - Sunday 30th August Junior BP - Sunday 18th October For more information, and to register, please go here. Registration for the 2015 Junior Secondary Program closes tomorrow. If you would like to register teams, but are unable to meet the deadline, please contact the office as soon as possible. Currently we are experience technically difficulties with one of our phone lines. If you need to contact us urgently, please do so on the following number (03) 9348 9819 or (03) 9348 9544. Thank you! Registration has now closed for the 2015 Schools competition. If you would like register a new team, or amend the number of teams in an existing registration, please email the office at debater@dav.com.au. Topics are now available here. Draws will be available over the coming days. Registration for the 2015 DAV Schools Competition is now open! Registration packs will be emailed to schools before Friday 30 January. If you have not received your pack by then, please email us. You can also download a pack from here. We have added new adjudication training sessions in January and February. You can sign up for sessions here. As the school year wraps up, DAV office staff are working reduced hours. If you have an enquiry we recommend you email rather than call the office. The office will be completely unattended from Friday 19 December until Monday 12 January. An End of Year Competition update including 2015 dates and a change of contact details form was sent on Monday 1st December. If you have not received this update, please contact the office so that we can make sure we have the correct details for the 2015 coordinator at your school. Registration packs for the 2015 Schools Competition will be emailed to member schools during the first fortnight of term one. If you have not received your pack by then, please email the DAV office. We would like to congratulate our Senior British Parliamentary Champions, and winner of the Mollie Missen Shield from St Kevin's College, as well as our top ranked Junior teams from Camberwell Grammar School, Ivanhoe Girls Grammar School, Melbourne High School, and Methodist Ladies College! Each year the DAV seeks new adjudicators for the Schools Competition. If you are completing Year 12 this year, you might interested in training to be an adjudicator for next year's competition. More information can be found here. Recently the Grand Final of the Junior Public Speaking Competition was held. The evening showcased the top twelve speakers drawn from over 260 students who competed across the State. The DAV would like to congratulate the overall winner of the competition, Niamh Nolan of St Leonard's College. The DAV would also like to recognise the runner-up, Hatchins D'Souza of St Monica's College and the second runner-up, Carlin Stephenson of Brentwood Secondary College. Additionally, a huge congratulations to all the finalists and participants of the program in 2014. The training session will be held on Tuesday 11 November from 1.00 pm until 3.00 pm and the competition day will be held on Wednesday 12 November from 9.15 am until 3.00 pm. Registration for the program closes on Wednesday 22 October. For more information, please download a Registration Pack. The 2014 Swannie Awards are approaching! Every year the DAV holds an awards night to celebrate the achievements of the best speakers in each year level and each region of our Schools Competition. This year the night will be held at Methodist Ladies College in Kew on Monday 20 October. Students who will awarded a Swannie will soon receive a letter of invitation to attend the awards night from their debating coordinator. To respond to your invitation, please complete the online form. If you have any questions about the awards, please feel free to contact us. The DAV is excited to announce that registration is now open for the Spring Debate Camp. The non-residential camp runs across two days and provides students with the opportunity to participate in useful manner training sessions, informative quizzes and twice daily practice debates. This is a fantastic opportunity for students to further their debating knowledge and skills in sessions and debates run by some of the DAV's most senior trainers and adjudicators. There are a limited number of places available and students are advised to register early to secure a spot. More information and registration is via the 'Schools' page of the website. Draws for the first playoff round and a draft draw for the second playoff round were emailed to school coordinators on Wednesday 14 August and are now available on the DAV website. The DAV is happy to announce a new regional debating program to be held at FCJ College in Benalla. This program is open to students in years 7 - 10 and includes a training afternoon for inexperienced debaters, followed by a one day round-robin tournament. The training session will be held on Thursday 21 August from 1.00 pm until 3.00 pm and the competition day will be held on Monday 8 September from 9.15 am until 3.00 pm. Registration for the program closes on Monday 18 August. For more information, please download a Registration Pack. We have recently changed the server on which the DAV website and email are hosted. We hope that this will alleviate the technical issues that we have experienced this year, but it might take awhile for your school's ISP to register the change. If you receive bounce backs when trying to email the DAV, please call the office on 9348 9477 with your query. We expect that our email should be back to normal within 24 hours. The Senior BP Competition is open to students in years 10-12 and offers students an opportunity to engage in a different style of debating. This year's competition will be held at St Kevin's College in Toorak on Sunday 31 August from 9.00 am until 4.30 pm. For more information about BP Debating, the competition and how to register, please refer to our BP page. Registration for the competition closes at 5pm Monday 18 August. Due to ongoing issues with the DAV website, round 5 draws will be distributed as spreadsheet files this year. Draws will be emailed to coordinators as soon as they are available and they can also be downloaded here. As we will be preparing these draws manually, the process will take more time than usual and we appreciate your patience. If you have not received your draw at least a week prior to your scheduled round 5 debate, please contact the DAV office. The DAV is happy to announce a new regional debating program to be held at The Kilmore International School. This program is open to students in years 7 - 10 and includes a training afternoon for inexperienced debaters, followed by a one day round-robin tournament. The training session will be held on Wednesday 23 July from 1.30 pm until 3.30 pm and the competition day will be held on Wednesday 6 August from 9.15 am until 3.00 pm. Registration for the program closes on Monday 21 July. For more information, please download a Registration Pack. The DAV is pleased to announce that registration for the 2014 Junior Secondary Program have now opened. The JSP is an introduction to debating for junior secondary students in years 7 and 8. The program is designed to provide training in the basic skills and structure of debating whilst also giving students an opportunity to participate in three �friendly� inter-school debates. Congratulations to the Victorian team who are competing in the semi-finals of the National Schools Debating Championships tomorrow morning. We would also like also like to thank our host schools for providing amazing debating spaces, transport to and from venues, great audiences and tasty lunches. The tournament could not run without your support! The DAV is pleased to announce that we have now opened registrations for the 2014 Primary Schools Competition. The program will run across terms three and four and provides an excellent way for primary aged students to gain confidence in public speaking, develop their critical thinking skills and become familiar with debating. The program is run a three levels, enabling schools to select the training and competition modes they find most convenient. For more information and to register, click here. Registration will close on Thursday 27 June, 2014. From May 25th-31st, Melbourne will be hosting the National Schools' Debating Championships. This tournament is Australia's most prestigious high school debating competition. Each state and territory bring their best high school debaters together to represent their state/territory in the quest to be crowned National Champions. It is an excellent opportunity for adjudicators to see some high quality debates and support the Victorian team. The Opening Ceremony will be held this Sunday 25th May from 3:30pm at Parliament House, Spring St Melbourne. This debate is between the Victorian team and last year's champions, New South Wales. The Grand Final will be held on Saturday 31st March at 2:00pm at the Ormond College Chapel, 49 College Cresc, Parkville. A new issue of Harangue, the DAV's Student Publication, is now available for download on the DAV website. Harangue is an excellent, free resource for student debaters and is prepared on a volunteer basis by our adjudicators and publications officer. In this issue, our writers offer a step-by-step process for using your secret topic preparation hour effectively, a guide on understanding your debate score, tips on wowing your adjudicator and audience with an effective introduction and more debate myth busting. Previous issues of Harangue are also available for download in our online archive. We are currently experiencing issues with our website and have been unable to upload ladders for this year's competition. We hope to have this issue resolved as quickly as possible and thank everyone for their patience. Registration for the 2014 Junior Public Speaking Competition has now opened. The Public Speaking Competition is open to students from Years 7-9. The preliminary round will take place over one school day and commence with a training component. Students will then deliver one prepared speech and two impromptu speeches. The top-scoring speakers from each region will be invited to proceed to the semi-finals which will be held in Term 3. A grand-final will then be held in Term 4. The prepared speeches in the semi-final and grand-final may be the same speech as presented in the preliminary round or a new speech. Registration can be completed by school co-ordinators on the Schools page and will close on Wednesday 30 April at 5pm. If you have any questions about the program please contact the Training and Deveopment Administrator, Melissa Matteo. A new issue of Harangue, the DAV's Student Publication, is now available for download on the DAV website. Harangue is an excellent, free resource for student debaters and is prepared on a volunteer basis by our adjudicators and publications officer. In this issue, our writers expose some common debating myths, offer some great hints on rebuttal, identify a number of common speaker issues and teach debaters how to get the "sass factor" in their speech. There are a limited number of places available and students are advised to register early to secure a spot. Topics for this year's Schools Competition are now available! First round resource guides to help you prepare are also available and later round guides will be published in the coming weeks. Draws for all regions are now available on the website. Registration for the 2014 VST Trials is now open! The Victorian Schools Team represents the state in the National Schools Debating Championships, to be held this year here in Melbourne. If you are a Victorian high school debater and are interested in trying out for the team, we invite you to register to attend trials on Sunday 2 March at St Kevin's College in Toorak. For more information about the trials, what happens on the day and how to register, take a look at the VST page. Registration closes 4pm Wednesday 26 February! Registration for this year's schools competition closed on Wednesday 19 February. If you would still like to register, or to alter your current registration, please call us in the office on 9348 9477 to discuss your options. This year's registration packs were sent by email. The pack contains information about fees, dates for the competition and programs offered by the DAV in 2014. If you have not received yours, you can download the pack here. We hope to have all draws and topics published by Wednesday 26 February, but we need to finalise registration to achieve this! The topic was "That this house would ban all advertising during children's programming." Congratulations to Scotch College 1 who were the overall winners! The second annual statewide Primary School tournament was held on Thursday 14th November. Ten teams from eight schools across the state participated. The competition was of a very high standard with only speaker points separating the top ranked teams. Congratulations to St Joseph's Black Rock who were the overall winners! We would also like to congratulate Niamh Griffen who was the best speaker of the tournament! We are pleased to announce the winners of the 2013 Public Speaking Competition! The Grand Final took place on Monday 28 October at Brighton Grammar School and saw the top ten speakers from across the state compete. The winner was Lachlan Piper of Scotch College. The two runners up were Elena Natsioulas of Mentone Girls Grammar School and Benji Kalkopf of Leibler Yavneh College. We congratulate all the students who participated in the Grand Final. We would also like to extend our thanks to the Grand Final hosts, Brighton Grammar School. Congratulations to all the students who participated in this years competition. We hope you found the challenge and experience unique and rewarding. We look forward to your future participation and involvement in both public speaking and debating. We are pleased to announce the winners of the 2013 DAV Schools Competition! Grand Final debates took place over two nights this week. A and B Grade debates were held at Melbourne High School on Monday 21 October, while C and D Grade debates took place at Caulfield Grammar on Wednesday 23 October. We congratulate all teams that participated in the Grand Finals and extend our thanks to our Grand Final host schools, Caulfield Grammar and Melbourne High School. Well done to all debaters who participated in the competition this year, we know how much effort goes in to each debate and hope you found this year's competition rewarding. All teams debated at an exceptionally high standard, with St Kevin's College 2 winning overall. Congratulations to all teams for making it to the Grand Final and well done to St Kevin's College 2! Semi-Final debates were held last night at Sacre Coeur in Glen Iris. We congratulate all teams that participated in the Finals series, from the Playoffs, through to the Octos, Quarters and now Semis - it is a huge achievement and we appreciate the work everyone has put in to keep up with pace! A and B grade debates will take place at Melbourne High School on Monday 21 October, with the B grade debate taking place at 6pm and the A grade debate at 7pm. C and D grade Grand Finals are scheduled to take place at Caulfield Grammar on Wednesday 23 October, with the D grade debate taking place at 7pm and C grade at 8pm. In term 4, the DAV runs two-day regional debating programs in Mildura, Shepparton, and Wodonga. Registration is now open for all regional programs. Further information can be found here. Issue 2 of the DAV's publication for debaters, Harangue, is now available for download. In this issue George Talliopoulos discusses effective rebuttal, Alice Boer offers some easy tips to instantly improve your debating and Catherine Dunlop walks you through strategies for topic preparation. You can find this issue, as well as previous issues, archived and ready for download on the DAV website. The 2013 Swannie Awards will be held at 7pm on Friday 18 October at Methodist Ladies' College, Kew. The awards celebrate the achievements of students who participate in our Schools Competition. Invitations for Swannie recipients have now been forwarded to debating coordinators to pass on to students. Students who are receiving an award are asked to RSVP online by Wednesday 16 October. The 2013 Swannie Awards will be held at 7pm on Friday 18 October at Methodist Ladies' College, Kew. The awards celebrate the achievements of students who participate in our Schools Competition. Following the success of our Senior BP program held earlier this month, we have now opened registration for our Junior BP program. The Junior BP program introduces students to British Parliamentary debating through a one-day program. Students start the day off with a training session which covers the particulars of the BP style, before participating in three debates. This year's competition will take place at Princes Hill Secondary College in Carlton North on Sunday 27 October. Registration fees are $99 per team (up to three students per team) and include the morning workshop, lunch and afternoon tea. For more information about the program and how to register, take a look at our BP page. The 2013 Senior BP Competition was held on Sunday, with 47 teams participating in a day of training and debates at St Kevin's College. Thank you to students who participated on the day, adjudicators who volunteered a Sunday to view debates and to St Kevin's and, in particular, Ms Kelly Gallivan, for allowing us the use of such a great venue. We congratulate St Kevin's 2, Wesley (St Kilda Rd) 1, PLC 1 and St Kevin's 3 - these teams will now compete in a final debate for the Mollie Missen shield on a date to be announced. For information regarding finals dates, times and venues, please check our Finals page. Congratulations to everyone who participated in the finals rounds so far. From the quarter finals onward, all debates are viewed by a panel of adjudicators, which can be a daunting prospect for even the most seasoned debaters. Teams that have progressed to the semi-finals were selected by at least two out of three adjudicators - they should be deservedly proud of this achievement! What do adjudicators do when they watch coverage of this year's election? Assess our leaders' manner, matter and method, of course! Members of the DAV, including two former DAV presidents, were asked to critique the performances of Prime Minister Kevin Rudd and Opposition Leader Tony Abbott in last night's Leaders' Debate. For a debater's analysis of the night, have a look at The Debaters' Verdict, published by Crikey. The Echuca Regional Debating Program is open for all students in years 7 - 10 and includes an optional training session for students with limited to no experience of debating and a one-day competition. For more information about the competition please download a Registration Pack. The first issue of the DAV's student debater publication, Harangue, is available for download now. Inside you will find lots of tips and advice to improve your debating skills and to get the most out of this year's competition. You can download a PDF copy here. Previous editions of Harangue are are also available for download. A reminder that registration for this year's Junior Secondary Program (JSP) for students in Years 7/8 is due this Wednesday 26th June, at 5 PM. If you are wishing to enter teams in this program, please log-in to the DAV website to register your teams before this deadline. If you require a registration extension, please contact the office ASAP. Extensions may be granted but this depends on regional preferences. More information about the JSP is available here. Thank you to coordinators who have already registered - confirmation of this registration will be emailed on Thursday. If you have any questions, or would like to be reminded of your log-in details, please call us on 9348 9477. We are in the process of creating draws for the final round of the Schools Competition. Round 5 is power-paired, in accordance with the Rules for DAV Competitions. Teams will be drawn against opponents adjacent to them on the ladder, so the competition should be interesting! Draws will be published as soon as possible following the conclusion of round four. A few factors affect the speed in which we are able to produce these draws, including finalising scores and the completion of any postponed debates. We appreciate your patience during this time and we will contact debating coordinators via email as soon as the draw for your region is available. In 2011, the DAV successfully piloted a non-residential debating camp for students in Years 10-12. This year, the DAV will run Debate Camps over three days during both the Easter and Winter school holidays. The camps will include matter sessions on recurring debating themes, workshops to improve practical debating skills, and daily practice debates. For more information, please download the information brochure. To register for the Easter holiday program, please complete the online registration form. The registration window has been extended until Wednesday 26 June 2013. For further details, contact the Training and Development Administrator, Andrew Costa, by emailing tda@dav.com.au or by phoning the DAV office on 9348 9477. The DAV is excited to announce the 2013 Junior Secondary Program. The JSP is an introduction to debating for junior secondary students in years 7 and 8 and is designed to provide training in the basic skills and structure of debating whilst also giving students an opportunity to participate in three �friendly� inter-school debates. The JSP runs over four evenings in Terms 3/4 in various regions throughout Victoria, and is most suitable for students who have not participated in our Schools Competition. Download the 2013 Information Pack which contains more information regarding dates, venues, schedules and fees. Registration is due by 5pm, Wednesday 26th June 2013. You can register teams for the program by logging in to the DAV website, and student names are not required during the registration process. Please contact us if you need to be reminded of your log-in details. Registration is due by Friday 14 June 2013. During round 3, A and B grade debates have secret topics. C grade debates have advised topics. For each of these grades, topics will be released one hour before the debate commences. (This means if your students debate at 7pm, they must arrive by 6pm to hear the topic being released). No staff members, coaches, or parents may be present in preparation rooms. Where multiple teams prepare in the same area, teams may not prepare cooperatively. 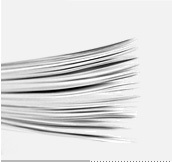 Students may bring in any printed material, such as newspapers or textbooks, to assist in their preparation. The use of electronic devices, such as computers or mobile phones, is prohibited. Teams must arrive at their debate rooms no later than 5 mins past the hour. Any breach of the above rules puts teams at risk of forfeit. Registration for the DAV's Junior Public Speaking Competition (Years 7�9) closes 5PM, Wednesday 24th April. Coordinators can register students by logging in to the DAV website. More information about this program is available here, or you can download the information pack. The Grand Final of the Viewpoint Competition will be held on Friday April 26th at 11:30am in H1.16 at Monash University, Caulfield Campus (900 Dandenong Rd, Caulfield East). The topic will be "That Australia should stop all efforts to tackle climate change". The event is an excellent excursion opportunity for debaters and economics students to attend. To rsvp please email viewpoint@dav.com.au with the number of attendees. Registration is now open for the DAV's Junior Public Speaking Competition for students in Years 7�9. Students will take part in a training seminar before presenting one prepared speech (from a list of topics) and two impromptu speeches. Each speech will receive feedback from DAV adjudicators. The competition will have preliminary rounds at 6 regional locations across Melbourne and Geelong, and top-scoring speakers will progress to semi-finals and then to a state-wide grand final. More information about the competition is available here, and you can download an information pack by clicking on this link. Coordinators can register students by logging in to the DAV website. The registration deadline is 5pm Wednesday 24 April. Registration is due by Thursday 28th March 2013. Please note: registration for school teams closed on Wednesday 20 February. Trials for the Victorian Schools Team will be held at St Kevin's College on Sunday 24th February. The DAV Teacher Inservice is a full day professional development program for teachers. This year's Inservice will be held on Monday 25th February. Participants have a choice of fours seminars ranging from introductory to advanced. A registration form can be downloaded here. Please join us in welcoming our new Schools Administrator, Dominique Caesar. Dominique trained as an English and history teacher in Canberra and has experience participating in debating tournaments as a teacher, coach and (in the distant past) a debater. Dominique will be the primary contact for inquiries relating to the Schools Competition, including registration, draws and topic queries. She will also manage bookings for external adjudication and training requests. Dominique can be reached via email at schoolsadministrator@dav.com.au. The DAV Office reopened for 2013 on Thursday, January 10th. Registration information for the 2013 Schools Competition will be posted to Debating Co-ordinators by the first week of term 1. If necessary, please update your contact details. Finished Year 12? Register online for adjudicator training. The DAV office will be closed from Friday, December 21st 2012 until Thursday, January 10th 2013. We wish you a happy new year period filled with smiles! Our current Schools Administrator, Michael Ciesielski, has resigned from his position after 4 years of service. Today is Michael's last day in the office as he is about to leave for a holiday to Malaysia, Indonesia, China and Thailand! As a member of staff, Michael has played an integral part in the DAV's operations, helping to to grow the Schools Competition, as well as expanding the British Parliamentary debating tournaments, and working on developing new programs in regional areas. In addition, Michael has immersed himself in every aspect of the DAV, continuing to volunteer his time adjudicating and providing training throughout his term in the office. In 2013, Michael will be working with the Department of Education in the Philippines. Part of the Department�s work is running the Alternative Learning System (ALS), which benefits those who cannot attend formal education (such as out-of-school youths and adult elementary and secondary school drop-outs, industry-based workers, housewives, maids, factory workers, drivers, indigenous peoples, and persons with disabilities). His work will focus on developing and implementing learning modules, preparing advocacy materials and identifying potential learning groups with the ALS in Pili and in neighbouring villages. We hope you will join us in farewelling Michael, and thanking him for his contribution to the DAV. He will certainly be missed, but we wish him all the best for this exciting opportunity. Congratulations to the 2012 Primary Schools Debating Champions, Wesley College, who were the only undefeated team at the DAV's first Primary Schools Debating Tournament which was held last Thursday at Victoria University in Melbourne's CBD. Well done to all debaters, as the adjudicators were very impressed with the standard of speeches from all students from the 9 participating schools. The DAV looks forward to running this event again in 2013 as an extension to the Primary Debating Program. The DAV is excited to announce the first Primary Schools Debating Tournament to be held on November 15 in Melbourne's CBD. The Tournament is an extension to the Primary Debating Program and introduces students to competitive inter-school debating. Schools who have participated in our 2012 program are encouraged to send a team of students to represent their school in the tournament. Teams will take part in three debates (two prepared and one secret topic) and presentations will be made to congratulate winning teams and the highest scoring speakers. Further information about this event is available on this flyer. Congratulations to the champions of the Senior Division of the British Parliamentary Competition, team 5 from St Kevin's College. Registration for the Junior Division, to be held at Princes Hill Secondary College on November 11th is now open. "That we should support the creation of high schools for GLBTIQ students"
Scotch College defeated Melbourne High School in a unanimous decision. "That mining companies should be required to hire a minimum number of indigenous workers in order to receive mining licenses"
St Kevin's College defeated Scotch College in a unanimous decision. "That Australia should abolish the states"
"That Australia should adopt a Constitutional bill of rights"
The DAV would like to thank all the students who participated in this year's competition and congratulate the finalists. The draw for the Grand Final is now available online. The draw for the Semi-Finals is now available online. The draw for the Quarter Finals is now available online. The draw for the Octo-finals is now available online. The draw for Playoff 2 is now available online. The registration deadline for the Junior Secondary Program has been extended until early next term. We can accept registration until Wednesday 25th July for all regions except Mentone and McKinnon, for which we require registration by Friday 20th July. Registration is completed online, so please contact the DAV office if you need to be reminded of your log-in details. Registration for the 2012 Junior Secondary Program (JSP) is now open. This program consists of training and debating rounds for students in year 7 and 8 who have not previously debated in the School's Competition. Registration can be completed online and is due by Friday 29th June. If you need to be reminded of your log-in details, please contact the office. An information pack (including regional dates) can be downloaded. Issue 3 of Harangue magazine for student debaters is now available. In this issue: Round 2 Wrap-up, Liberty, How to expand your logic, Inner thoughts of an adjudicator, and more. Information and registration information for the Junior Public Speaking Competition is now available. NB: The Junior Secondary Program for debating will still run as usual in second semester. Issue 2 of Harangue magazine for student debaters is now available. Please note: the telephone and fax services to the DAV office have been temporarily disconnected due to a service fault. We are working with service providers to resolve this problem. In the interim, you can make contact with the DAV by email (debater@dav.com.au). The topics for the 2012 Schools Competition are now available. Draws for the competition are being released as registration for each region is finalised, roughly in the order that each region begins. The timely registration period for Schools Competition registration ends this Friday, February 17th. Late registration may be possible in some regions; please make contact with the office immediately if you wish to register teams. The 2012 registration pack is available online. Students: register online now for the Victorian Schools Debating Team trials. "That the media should not broadcast messages or graphic footage from terrorists"
Lowther Hall Anglican Grammar School defeated Wesley College in a split decision (4-1). "That Victoria should never seek to prohibit any hate speech that does not incite violence"
"That we should institute a 100% tax on inheritance"
"That we should abolish all �sin taxes�"
The Schools Competition Grand Final will be held at Lowther Hall Anglican Grammar School in Essendon from 6pm on Wednesday, October 18th. The Junior Division (Years 7-9) of the Schools British Parliamentary Competition will be held at Wesley College Prahran on Sunday, October 30th. The draw for Playoff 1 is now available online. Additionally, a complete list of finals teams and which rounds they are required for is below. If you have any questions about the finals series, please make contact with me at the office by email or telephone. Draws will be released as registration for each region is finalised. The student resource kit is available on the JSP information page. Information and registration forms are now available online for the DAV's new Primary Schools Program. For more information about the programs, which are being run in many regions around Melbourne and Victoria, please make contact with the Training and Development Administrator, Andrew Costa. Two DAV high school competitors will be representing the Association in a public debate on the topic 'That Funding of Private Education is Unconscionable.' Other speakers include Amanda Vanstone and novelist Shane Maloney. The DAV encourages members to attend, and has a few free passes to give away to the first members to email debater@dav.com.au. Additional details are available at the Wheeler Centre website. The Victorian Schools Team send-off debate will be held at the DAV Offices on Friday, May 20th at 7pm. All are welcome to see off our team before they depart for the National Championships in Perth. Registration is now due for the one-day debating competition that we run in conjunction with the Faculty of Business and Economics at Monash University. Visit the Viewpoint website for more information. The DAV is excited to announce our inaugural debating camp. The non-residential camp will run from April 13th-15th from 9am-4pm each day. We are experiencing technical problems with our main telephone number: the line rings out to callers, but does not ring in the office. We are attempting to solve this problem with our service provider. To contact the office in the interim, please call us on another line: (03) 9348 9544, or make contact by email. Registration for the 2011 Schools Competition is due on Thursday, February 17th. All schools should have received by now a registration pack for the Competition. Alternatively, an electronic copy of the registration pack can be downloaded. If you have any questions about the Competition, or need to retrieve your username and password for online registration, please make contact with the office. Topics for the 2011 Competition will be released on Thursday, February 17th. The office reopened for 2011 on Wednesday, January 12th. We are currently accepting online registrations for Beginner Adjudicator Training at the start of 2011. The office will be closed from Thursday, December 24th 2010 until Wednesday, January 12th 2011. We wish you a peaceful new year period! Andrew Costa has been appointed by the DAV Executive as the new Training and Development Administrator. Andrew has been involved in the DAV for three years, and has served as the Regional Co-ordinator for Geelong in 2009 and 2010. Andrew has recently completed a Bachelor of Music at the University of Melbourne, and will take over the running of the Junior Secondary Program, Public Speaking Program, Primary Schools Program, and other responsibilities from the outgoing TDA, Meredith Prior. We welcome Andrew to the DAV Office, and look forward to having his many talents on board. The Training and Development Administrator, Meredith Prior, has been offered an internship with the Policy, Strategy, and Implementation Branch of the Department of Premier and Cabinet, and will be leaving the DAV office to take up this role mid-November. 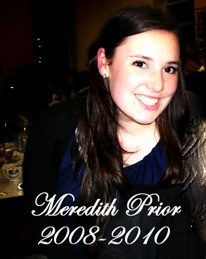 Meredith joined us in early 2008 as one of three employees of the Association, and you may have spoken to her on the telephone, received an email from her, or met her in person at one of our events. As Training and Development Administrator, Meredith has been responsible for running the Junior Secondary Program, Junior Public Speaking Program, Teacher Inservice, Primary Schools debating, and many other training and development programs. Meredith has been an invaluable asset to the organisation, with her sunny disposition and sound administrative skills always put to good use. She approached her work with enthusiasm, and we are better for it. Meredith's work with the Association has taken her from our office in North Melbourne to Geelong, Kyabram, Bendigo, Shepparton, Echuca, Mildura, Warragul, and Sale, and we are sure this experience will stand her in good stead in her new position. We wish Meredith all the best for what is sure to be a bright future. "That Islamic people living in the West should be allowed to practise Sharia law"
Scotch College 1 defeated Ivanhoe Grammar School 1 in a unanimous decision. Adjudication panel: Tim Jeffrie, Charisma Dungan, Meredith Prior, Claire Roberts, and Nick Boyd-Caine. "That we should legalise recreational drugs"
Scotch College 1 defeated Melbourne Grammar School 2 in a unanimous decision. Adjudication panel: Tim Jeffrie, Claire Roberts, Michael Ciesielski, Meredith Prior, and Wayne Jocic. "That we should offer immunity from prosecution to terorists who offer us useful information"
Scotch College 1 defeated Woodleigh School 1 in a unanimous decision. Adjudication panel: Monique Hardinge, Wayne Jocic, and Nicholas Liau. "That denial of the Holocaust should be a crime"
Genazzano FCJ College 3 defeated Alphington Grammar School 1 in a unanimous decision. Adjudication panel: Amit Golder, Charisma Dungan, and Tim Jeffrie. We would like to thank all the students who participated in this year's competition and congratulate the finalists. It has been brought to our attention that two dates for Mentone JSP Round 3 have been published inadvertently, one tonight, and one next Monday. The host school has used the later date, and so the facilities are not available for debating use this evening. Round 3 will therefore take place next Monday, October 18th. Forfeit fines will be waived for schools unavailable due to having scheduled the alternative date - please let the office know, though, so that the draw can be updated. We are calling all all co-ordinators to ensure that this message has been received. We apologise for the confusion and inconvenience. Registration information for other regions will be published this week. The draw for the Semi-finals, to be held at Ruyton Girls School, Kew on October 13th, is now available online. The draw for the Quarter finals, to be held at Simonds Catholic College, West Melbourne on September 1st, is now available online. The draw for the Octo-finals, to be held at St Michael's Grammar School on August 25th, is now available online. The draw for Playoff 2, to be held at Northcote High School on August 18th, is now available online. The finals series operates in a knock-out tournament fashion. Because more than 16 teams in each grade have entered the finals series, there are two playoff rounds before the Octo-finals. Teams are selected to compete in one, both, or neither playoff in accordance with the Schools Competition By-Law (2000). A complete list of finals dates and venues is available online. A complete list of finals teams is below. The Grand Final for the Monash University Faculty of Business and Economics Viewpoint debating competition will be held on 16 April 2010 at Monash University Caulfield Campus at 2:30pm. Please register your attendance at the Monash Viewpoint website. Registration information has been posted to schools. The deadline for registration is Wed 17 February. If you have not received a 2010 registration pack by the Friday, February 5th, please contact the office. The DAV's Teacher Inservice will be held on February 26th and March 5th at the Jasper Hotel, Elizabeth St, Melbourne. The DAV Office reopened for 2010 on Monday, January 11th. Registration information for the 2010 Schools Competition will be posted to Debating Co-ordinators by the first week of term 1. If necessary, please update your contact details. The DAV Office is closed over the New Year period, and will reopen on Monday, January 11th. Urgent queries should be directed by email to debater@dav.com.au. The Grand Final of the Junior Public Speaking Competition was held at BMW Edge at Federation Square on Monday, November 30th. From over 300 entrants in the competition, ten winners of the Semi-Finals presented speeches at the Grand Final. In the interim, you can make contact with the DAV by email (debater@dav.com.au), or by calling the DAV mobile phone: 0423 651 843. "That Australia is a racist nation"
Mac.Robertson Girls' High School 3 defeated Methodist Ladies' College 1 in a unanimous decision. Adjudication panel: Jonathan Benney, Christopher Hibbard, Jennifer Ames, Anthony Kung, and Anna Blair. "That the federal National Party should withdraw from the Liberal-National coalition." Melbourne High School 6 defeated St Catherine's School 1 in a split decision (2-1). Adjudication panel: Wayne Jocic, Laura Bellamy, and Duncan Campbell.
" That we should offer dictators amnesty in return for giving up power"
Lowther Hall Anglican Grammar School 1 defeated Firbank Grammar School 1 in a unanimous decision. Adjudication panel: Charisma Dungan, Claire Roberts, and Nick Boyd-Caine. "That the Rudd government is all spin and no substance"
Scotch College defeated St Monica's College in a unanimous decision. Adjudication panel: Elizabeth Sheargold, Nicholas Liau, and Ravi Dutta. Our popular British Parliamentary Competition has been split into a Junior Division (November 1st) and a Senior Division (October 18th) this year. Both will be held at Melbourne High School. Registration for the Junior Division is due on Thursday, October 29th. The DAV in conjunction with St Mary's House of Welcome will hold a debate as part of "Anti-poverty week" events. St Mary�s House of Welcome Day Centre provides a range of services for people in need, including meals in a dining room setting, showering amenities, pastoral care, social worker support and referral and recreation activities offered in a safe and supportive environment. Many DAV schools members have volunteered with St Mary's in the past. The topic of the debate will be "Poverty and Homelessness: It's all their fault, isn't it?". Speakers will include Daniel Browning, Emma Ayres and Lindy Burns from the ABC. The date will be held at 7pm (doors open 6:30pm) on Tuesday October 27th at Melbourne Rowing Club, Boathouse St, Melbourne. Tickets cost $10. We invite all DAV members and interested parties to attend this event. The Semi-final draws for all grades are now available. The Quarter-final draws for all grades are now available. The octo-final draws for all grades are now available. The D Grade draw for Playoff 2 is now available. No answering service: the answering service is currently inactive. To leave a message out-of-hours, please email debater@dav.com.au or fax (03) 9348 9466. Limited capacity: while our line hunt set up is pending, only one incoming call can be answered at a time, so you may receive a busy signal when calling the DAV office. Please call again, or send a message by email or fax. We have support requests logged to address these problems; thank you for your patience in the interim. Update 19/8: The out-of-hours answering service has been reactivated. A request to re-active line hunt service is still pending. Registration for the Junior Secondary Program closes Friday July 24th. Registrations should be submitted by faxing the registration form from the information pack to (03) 9348 9466. The show will air nationally in the search for Australia's best public speaker. Contestants will be cast through auditions to be held in capital cities around Australia in August. At the auditions you must give a three minute speech � without notes - that will make the audience laugh, gasp or cry or all three. An impromptu speech is also required. Audition and other details can be found at http://www.abc.net.au/tv/strictlyspeaking/. Expressions of interest can be sent to strictlyspeaking@sstar.com.au. The Victorian Schools Debating Team will shortly be travelling to Adelaide to compete at the National Schools Debating Championship, hosted this year by the South Australian Debating Association. The traditional send-off debate was held at the DAV Office (Suite 5, 87-89 Flemington Rd, North Melbourne) at 7pm on Tuesday July 14th. A lively exhibition debate farewelled the Team. We wish them the best of luck at Nationals! Draws for round 5 are being created, and will be posted online as soon as possible. When the round 5 draw for a region is available, it will appear on the same page as the draws for rounds 1-4. Debating Coordinators will also receive an email when the draw is available. Many financial challenges face the world in the current economic climate, but tomorrow�s leaders are already teasing out potential solutions in Monash University Faculty of Business and Economics Viewpoint Debating Competition. In conjunction with the Debaters Association of Victoria, the Viewpoint competition was held at Monash�s Caulfield campus featuring 24 teams from a wide range of Victorian high schools. The competition aimed to make economic ideas and themes more easily accessible to secondary school students by having them debate the controversial economics questions of our time. After three preliminary debates and a highly competitive finals series, teams from Scotch College and Gippsland Grammar School were selected to compete in the Grand Final. At the BMW Edge Theatre, Federation Square, Mr Red Symonds chaired the final motion �That the Rudd Government should delay the emissions trading scheme in the interests of economic recovery� which was eventually won by Scotch College. The Hon. Bronwyn Pike, Minister for Education gave an address and congratulated the debaters from both schools for their exciting oratory and argumentative skills. Mercy College, the host school of the Coburg region, will be closed on Department of Health advice next week due to some confirmed cases of Influenza A(H1N1). The round four debates, scheduled for Wednesday June 3rd at Mercy College, cannot be held there. Two other schools in the region also has some confirmed cases of Influenza A, and it is possible that this might occur at other schools in the region as the virus spreads. Since the lack of three or more schools would be highly disruptive to the draw, we have decided to postpone the regional night rather than to relocate it. The round will now be held on Thursday, June 25th. We have been experiencing intermittent problems with telephone connectivity for the last three weeks. Although we have been in constant contact with our service provider, they have not yet been able to determine the cause of the problem. Please note that calls to or from the office may drop out, and the office may be unreachable for short lengths of time. We apologise for the inconvenience, and hope to have the issue resolved as soon as possible. Update 15/6: Commander Australia report that the fault has been fixed by replacing a copper cable in the street. Please let us know if you have any difficulty contacting us by telephone henceforth. Registration for Viewpoint (The Monash Economics Debate) is now due. Viewpoint is a day-long debating competition for secondary school students in years 9-12, involving three debates for all teams on Sunday, May 3rd at Monash University Caulfield, and finals to follow at later dates. The competition is similar to our popular one-day British Parliamentary Competition, but is held in the 3-v-3 style like the Schools Competition. As this competition is being run in conjunction with the Faculty of Business and Economics at Monash University, there is no cost to schools to participate. Schools can enter a maximum of two teams, and all participants will receive a free T-shirt. Topics for 2009 are now available. Draws are available for all regions except Bendigo (where registration is still open). The timely registration period for Schools Competition registration has been extended to this Friday, February 20th. Registrations after this time will only be accepted at the discretion of the Schools Administrator, and a late fee will apply. Registration packs were mailed to schools in the first week of term. If you didn't receive one, please contact the office: 03 9348 9477. Trials for the Victorian Schools Team will be held on Sunday March 1 at MacRoberston Girls' High School. Please contact the office with your name, year level and school if you would like to attend. Trials begin at 9:15am and will be finished by 4:00pm. As a result of these trials 12 students will be selected to train as a squad for the State team. These students will train every Saturday from 10am-4pm until July, when the National Championships will be held in Adelaide. The trials are a great opportunity for high quality competition and feedback, even for students who aren't selected as squad members. Students are not required to wear school uniform to the this event. Registration information will be received by mail in the first week of first term 2009. Please contact the office if you don't receive it. Registration is due by Wednesday 18th February. If you have any questions regarding registration, please call the office on 9348 9477. The dates for most regions of the 2009 Schools Competition are now available. A file containing the dates for all regions is available below. "That Australia should not introduce a carbon emissions trading scheme"
Penleigh & Essendon Grammar School defeated Scotch College in a split decision (3-2). "That we should have the death penalty for war criminals"
" That religious leaders should not comment on political issues"
"That Australia is a nanny state"
Issue 5 of Harangue magazine for student debaters is now available. Registration for the Victorian Schools Team trails is now open. For more information see . Register .